“Warning: Something’s Not Right Here! http://www.george-orwell.org contains malware. Your computer might catch a virus if you visit this site. We have already notified www.george-orwell.org that we found malware on the site. For more about the problems found on www.george-orwell.org, visit the Google Safe Browsing diagnostic page. Big Brother is alive and thriving. From Citizen Wells June 25, 2011. 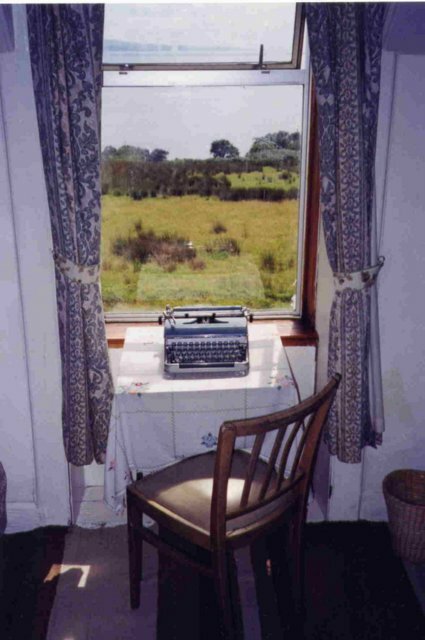 One of the highest honors I ever received was when the Post & Email placed the photo of George Orwell in the article they did on the Citizen Wells blog on May 25, 2010. I am also honored to present the following on George Orwell and 1984. From The Complete works of George Orwell. 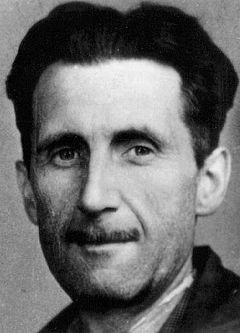 Contemporary readers are more often introduced to Orwell as a novelist, particularly through his enormously successful titles Animal Farm and Nineteen Eighty-Four. The former is considered an allegory of the corruption of the socialist ideals of the Russian Revolution by Stalinism, and the latter is Orwell’s prophetic vision of the results of totalitarianism. Orwell denied that Animal Farm was a reference to Stalinism. Orwell had returned from Catalonia a staunch anti-Stalinist and anti-Communist, but he remained to the end a man of the left and, in his own words, a ‘democratic socialist’. Some of my favorite “1984″ quotes. THANK GOD FOR THE LIFE OF GEORGE ORWELL. This entry was posted in 1984, Big Brother, Citizen News, Citizens for the truth about Obama, CitizenWells, George Orwell, History, Hitler, Lies, News, Orwell, Orwellian, Thought Police, truth and tagged 2012, Big brother is alive, Eric Blair, George Orwell birthday June 25, George-Orwell.org malware attack, Hacker compromises Orwell site. Bookmark the permalink. Happy Birthday George….wherever you are. Montana Bear Tragedy. Check it out! Imagine no internet ! And all we had were the MS Marxist Media. Watching the democrats try to spin their way out of Fast and Furious, and the congressional investigation, is truly Orwellian. They were caught “red handed” breaking the law, and covering it up, now they are trying to tell the American people, “there is nothing to see, move along, and don’t believe your lying eyes”. These socialist democrats have no shame, and they think the American people will believe what ever they are told. Those days are over. St Louis Tea Party is having a rally to mark the Supreme Court’s Obamacare ruling this week, no matter what the outcome. Please pass the news along….. If the democrats have their way, that is how it will be. Free thinking must be eliminated. Anyone have news on the Florida Ballot Challenge hearing today? Can this woman EVER do anything right?? And THIS is the Dems next best “hope”???? Anybody still wondering about Barry’s religious status? Weiner’s Wife Tied to the Muslim Brotherhood! Mother of Secretary of State’s Closest Adviser is an Official Member of Muslim Brotherhood! Brother Tied to al-Qaeda Godfather! No health care ruling today! And the Arizona ruling is split but upholding the ability to check immigrants’ papers and thus status. If you’re pulled over for something else they CAN check your immigration status. Allen West for Vice President! With this Egypt election of the Muslim Brotherhood, I wouldn’t put it past this regime here to arm the MB in order to get the military out of real control of things. That’s in order to complete the real mission of surrounding Israel, isolating them for the big showdown….and Israel won’t have anyone coming to their defense. Obama needs such a world crisis at this time. Ron Paul’s Texas Straight Talk 6/25/12: Get the Government Out of Healthcare! Does this mean, Sheriff Joe can ask Obama for ID? The Supreme Court issues split verdict on Arizona’s controversial immigration law, upholding some parts, rejecting others. [Updated at 10:26 a.m. ET] The Court ruled largely in favor of the U.S. government, striking down three parts of the Arizona immigration law, but the Court did uphold one the most notorious provisions: A requirement that local police officers check a person’s immigration status while enforcing other laws if “reasonable suspicion” exists that the person is in the United States illegally. The question now is can that single provision stand on its own, or does the court action mean Arizona has to go back to the drawing board on their immigration law. [Updated at 10:18 a.m. ET] The Supreme Court has issued 5-3 decision in favor of U.S. government, with Justice Kennedy saying that the government has significant power to regulate immigration and while Arizona may have signifacnt frustrations they may not have policies that undermine federal law. This is a win for the federal government and a loss for Arizona. Any news should show up here. Well, if he had the opportunity I’m afraid all he’d get would be a phony one or some kind of “Executive Privilege” pronouncement. Then the Sheriff would be ordered to be arrested by the Secret Service for possible ill intentions towards the creep in chief!! So far….”it’s good to be the king”!! Looks like Judge Napolitano is up next on FOX business channel to explain the Arizona vote. Looks like Arizona can arrest/hold those they find without papers when they check them within another reason for pulling them over, BUT then the Feds are free not to enforce sending them out of country after such findings. Looks like only way to help the border states to do the work the Feds aren’t doing is to get regime change….or to get congress to challenge the Feds for failing to uphold the law under the Constitution. Keeping the illegals out by the States would have damaged Obama’s desire to clear the way for more illegals and get their votes. Due to this regime’s abuse of power we’re a nation not of laws! “WASHINGTON — The Supreme Court on Monday delivered a split decision in the Obama administration’s challenge to Arizona’s aggressive immigration law, striking multiple provisions but upholding the “papers please” provision. Civil rights groups argue the latter measure, a centerpiece of S.B. 1070, invites racial profiling. “Justice Antonin Scalia, Clarence Thomas and Samuel Alito each wrote separately, concurring in part and dissenting in part.